THINKING ABOUT WHAT ... DRINK! With advertisements that suggest that dietary alternative to traditional sugary drinks, soft drinks containing artificial sweeteners (asparatame, saccharin, sucralose, etc.) have had in recent years a surge in popularity. Sharon Fowler, of the University of Texas Health Science Center (Texas, USA), and colleagues analyzed data collected from 749 Mexican and European-Americans, age 65 and older at the beginning of the study (1992-1996), enrolled in San Antonio Longitudinal Study of Aging (SALSA). Before starting the study we were analyzed: the type of power, sodium intake, waist circumference, height and weight of the participants, then rechecked in three follow-up to a total of 9.4 years follow up. At the first follow-up there were 474 (79.1%) participants survivors; 413 (73.4%) at the second follow-up and 375 (71.0%) in the third follow-up. The results indicate that the increase in waist circumference among drinkers of soft light, for interval follow-up, was almost three times compared to non-drinkers of diet soda: 2.11 cm versus 0.77 cm, respectively. After adjustment for confounding factors, the team found that waist circumference increases by 0.80 inches for drinkers of diet soda does not, 1.83 inches to occasional drinkers, and 16.3 inches for daily drinkers, the total period of study 9.4 years of follow-up. 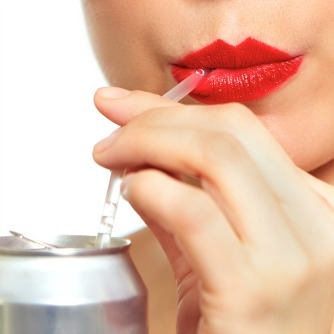 The study's authors warn that: "Taking diet drinks was associated with an increased abdominal obesity, a potential route of cardiometabolic risk." ANTHOCYANINS: WHAT ARE AND WHAT YOU NEED? BLUEBERRY: IMPROVE THE VIEW IN THE DARK? DOES YOUR DIET MAKE YOU OLDER? FISH: BEST GRILLED, BAKED OR FRIED? NUTRIENTS. IF WE COULD TAKE IT WITH THE ONLY POWER WHAT SHOULD WE EAT? PROBIOTICS, PREBIOTICS, SYMBIOTIC: WHAT ARE THEY? YES, DIET! BUT IN THE RIGHT WAY!